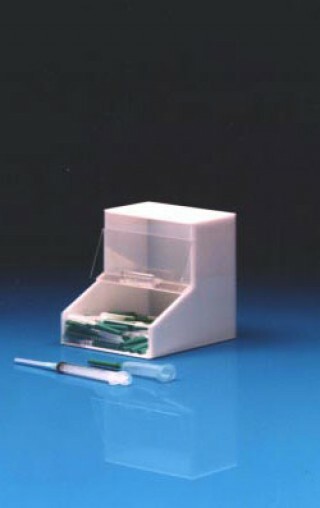 The dispensing bin provides for a convenient and dust-free storage for many small items. It has a clear front panel to view contents and has a hinged, removable top for easy filling. This bin will fit on the Phlebotomy Cabinet (PHC-2018) Wall mount or place on benchtop.